The Massage Therapy industry has become incredibly diversified in recent years, as it has moved from the spa, salon, and private club realms into hospitals, hospice centers, chiropractic offices, fitness clubs, and sports medicine and rehab centers. As this has occurred, there has been a growing demand for training in more specialized practice areas. The Master Massage Therapist Degree (AOS) Program at WellSpring School of Allied Health offers students some of the most comprehensive and advanced training available in the industry today. The payoff… students who take this journey will have their career prospects increased dramatically, including access to employers who are much more selective and demanding, but who also may offer better compensation. Beyond the science and technique of massage, you’ll learn about the business aspects of Massage Therapy, including the laws that govern the business. Each topic will help turn your Massage Therapy practice into a rewarding career, whether it’s working for yourself or being employed at a wide variety of spas/clinics, or some combination of the two. After completing the entire program, you’ll be able to perform at the absolute highest skill levels of expertise in the industry and you will be seen as a more preferred candidate for employment, particularly in the healthcare field. Students will also benefit from an externship as part of their training, where they will gain practical, real-world experience working with clients in a real healthcare environment before they graduate. 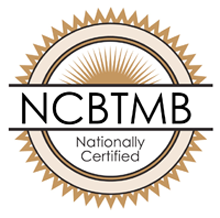 Graduates of the Master Massage Therapist Degree (AOS) Program earn an Associate of Occupational Science Degree and are qualified to sit for the National Certification Exam and become licensed in most states and municipalities. They would be credentialed as a Master Massage Therapist with advanced training in Medical Massage, Eastern Bodywork techniques, and Spa Treatments. 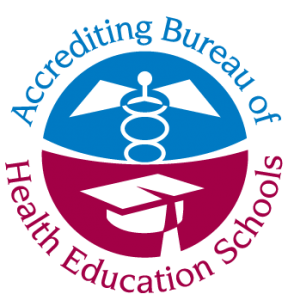 Students would also be eligible to sit for the National Academy of Sports Medicine certification exam, and upon successful passing of the exam would carry the Corrective Exercise Specialist (CES) title as well. The Master Massage Therapist Degree (AOS) Program offers both daytime and evening class schedules, so you can balance your career training with family, work, and other interests. As with all our programs, our Integrative Massage Degree AOS Program features a low student/instructor ratio to maximize the personal attention and set you up for success. Advanced massage training is all about getting ahead of the pack in a rewarding career that you’re passionate about. The dedicated Career Services staff at WellSpring will work with you throughout your training and beyond to help you turn your training into a successful career you love.